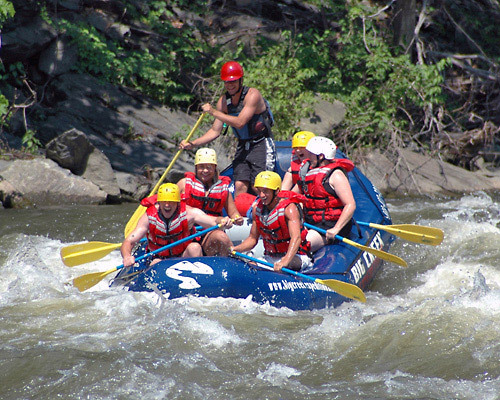 Come enjoy the Appalachian Mountains by rafting the Pigeon River in beautiful Hartford, TN! 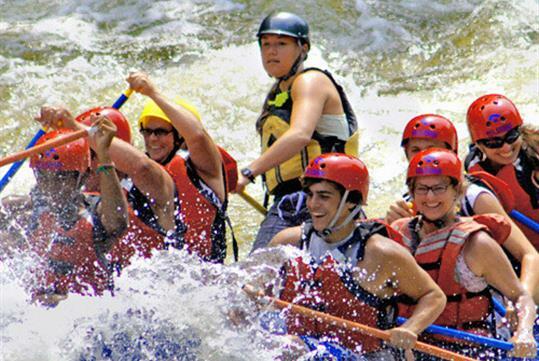 This half day whitewater rafting expedition will be the talk of your vacation! 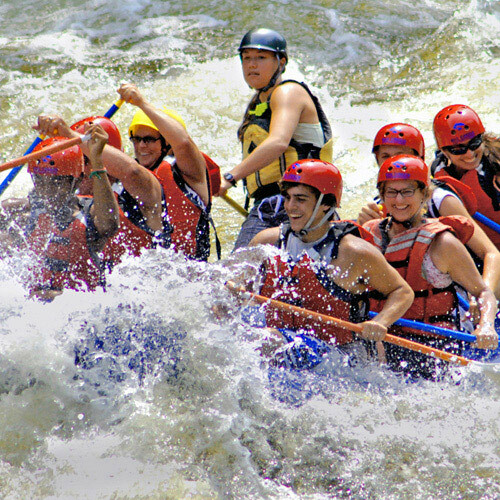 It offers two different rafting trips appropriate for any age and skill level; the Upper Section rides through class III and IV rapids for ages 8 and up (or 70+ pounds), while the Lower is a scenic float trip for ages 3 and up. 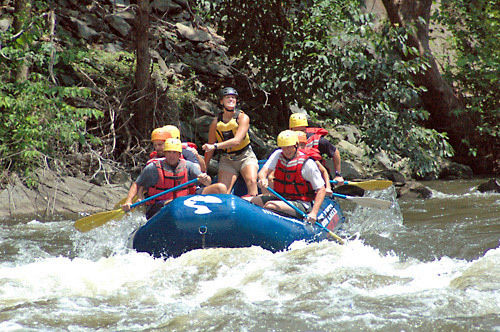 Looking for an exciting family expedition or memorable outdoor adventure? 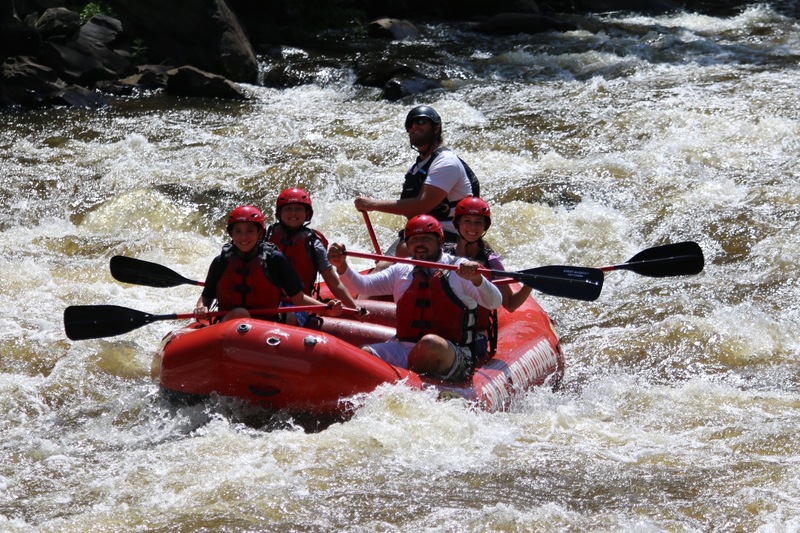 Come enjoy the Appalachian Mountains by rafting the Pigeon River! 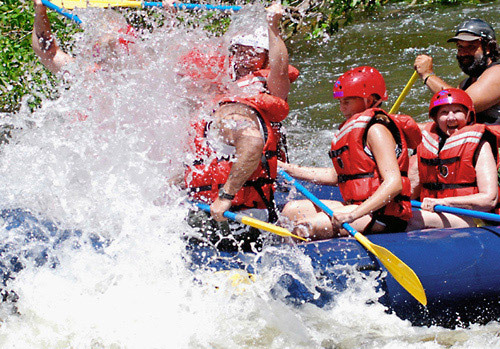 This half day whitewater rafting expedition will be the talk of your vacation. 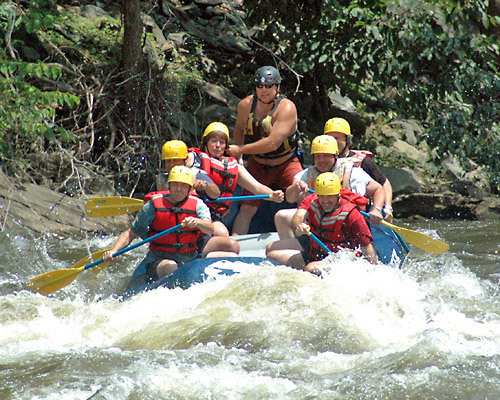 The Pigeon River is the closest whitewater rafting adventure to Gatlinburg, Pigeon Forge, Sevierville, and Knoxville, Tennessee. 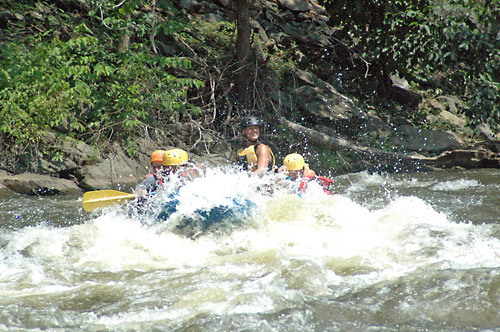 Big Creek Expeditions, Inc. is a whitewater rafting company located on the Pigeon River in beautiful Hartford, Tennessee. We are one of the premier attractions in Eastern TN. 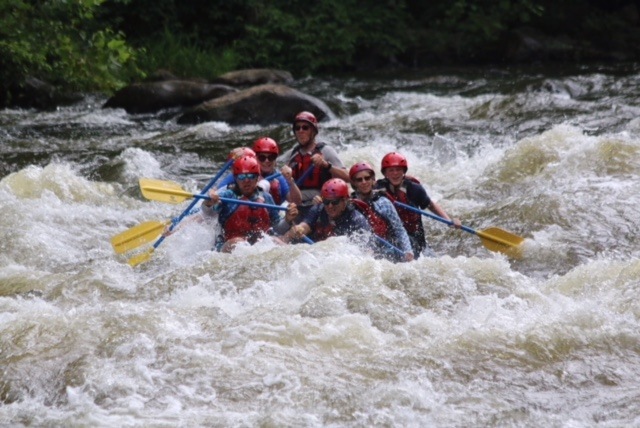 No matter the size of your group, Big Creek Expeditions, Inc. will give you the opportunity to enjoy the beauty of the Smokies on a professionally guided whitewater rafting adventure. 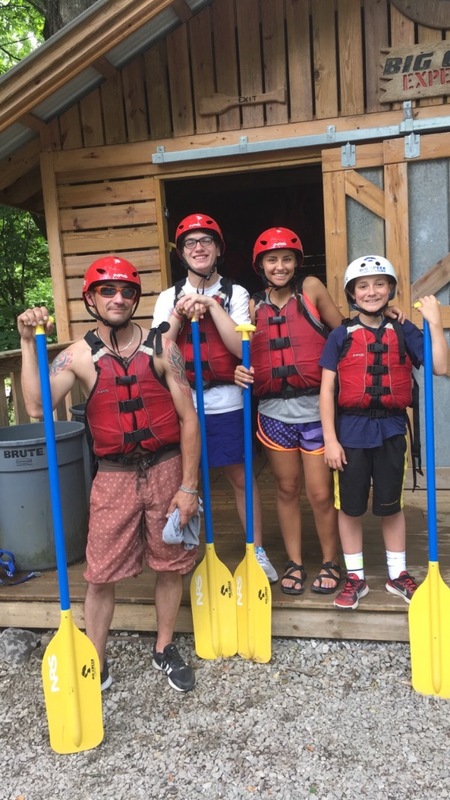 We offer two different rafting trips appropriate for any age and skill level; the Upper Section is a thrilling ride through class III and IV rapids for ages 8 and up (or 70+ pounds), while the Lower is a scenic float trip for ages 3 and up. 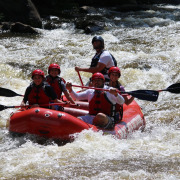 What is the minimum age required at Rafting with Big Creek Expeditions? The minimum age/weight for the Upper Pigeon is 8 yrs old or 70 lbs. The minimum age for the Lower Pigeon Float trip is 3 yrs old. Foot protection is required. You will need old shoes or sandals that go around your ankle. Flip flops are not allowed on the river. You will get wet! Bring a change of clothes, shoes and a towel for after the trip. Mountain weather is unpredictable, so come prepared for anything. In the summer, we recommend shorts, a T-shirt, a hat, and sunscreen. In the spring, when it is cold, wool and Polypropylene, or other synthetic materials are recommended. Cotton is not recommended because it will rob the body of heat and restricts movement when it is wet. We do not recommend taking anything on the river that you do not want to lose or get wet. We have disposable waterproof cameras available for purchase in our outpost store, or you can purchase one of our professional photos after your trip. No experience necessary! We take first - timers down all the time. 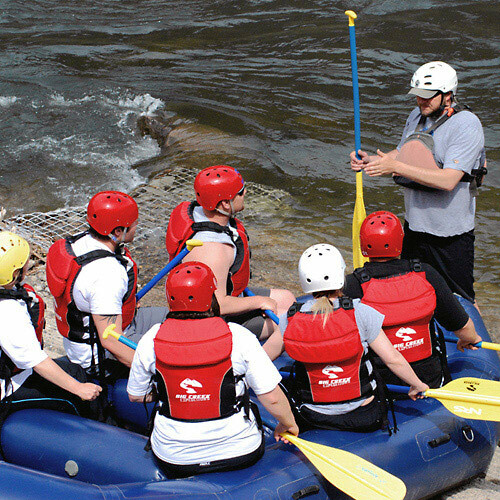 You will be provided a personal floatation device and instructions on what to do if you come out of the raft. We do not recommend swimming in whitewater. How far are you from Gatlinburg / Pigeon Forge? 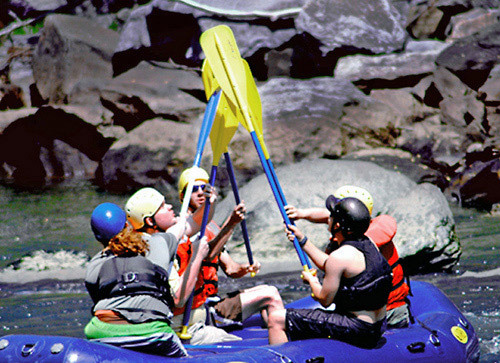 Rafting with Big Creek Expeditions is located in Hartford, Tennessee – about an hour from Pigeon Forge and Gatlinburg. Big Creek Expeditions runs trips rain or shine. Only if there is danger from lightning would we delay trips leaving the outpost. You will be provided shuttle service to the put-in at no additional charge. Your trip will end at the outpost where you park your car. Please lock your valuables in your vehicle. We have a secure location in the outpost to keep your car keys. 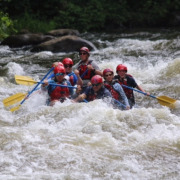 Participation is required on all of Big Creek Expeditions trips. You will need to be in good physical condition. You may be asked to help with moving of equipment and rafts both at the put-in and the take out. Please consult with your family physician before taking part in strenuous activity. If you are pregnant please understand that you will not be allowed to participate.